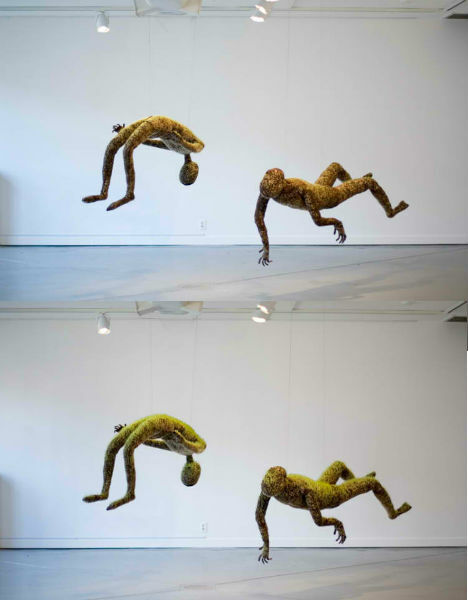 The figures seem to float on air, hanging in unnatural positions, their limbs dangling. 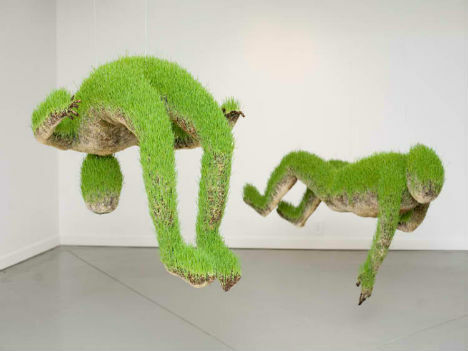 Made of a compacted growing medium, these sculptures by Mathilde Roussel are planted with grass seeds and allowed to transform over time, the grass sprouting and growing. 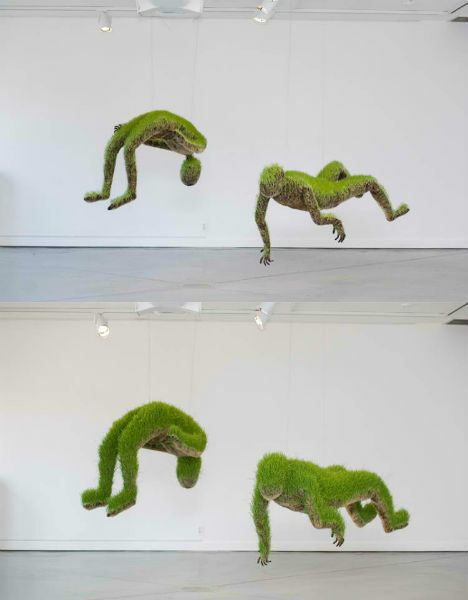 The French artist’s ‘Lifes of Grass’ series is pictured here at the Cheekwood Botanical Garden and Museum of Art in Nashville, Tennessee. 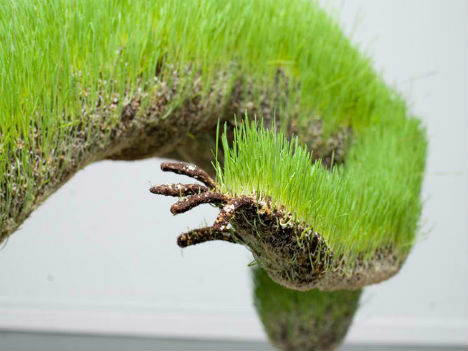 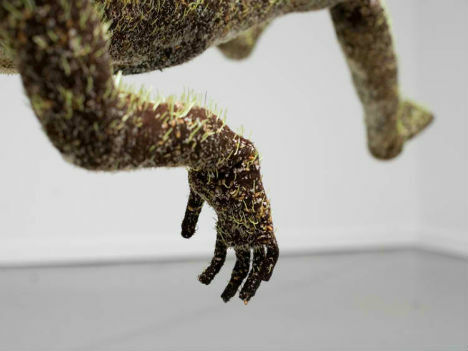 The sculptures are formed using a metal frame, soil and wheat grass.